For British, American, and French parents, the option exists for their children to study at international schools with national curricula, such as A-Levels or the French Baccalaureate programme. In such a case, their children will graduate with the option to study at national universities that accept their country-specific degrees. However, there’s another, arguably superior option for these children studying abroad, which would make them eligible for admission to thousands of prestigious universities all over the world – the International Baccalaureate Diploma Programme, or IB DP. Why the IB Diploma Programme? 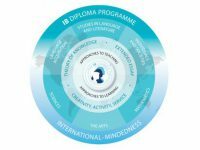 A classic among educational programmes that was developed nearly half a century ago, the two-year IB Diploma is recognized by dozens of countries. It consists of six subject groups that represent a diverse array of courses, including math, science, and language and literature studies. It also includes in its requirements a core programme that consists of a theory of knowledge course, a 4,000-word independently researched extended essay taken from a list of approved topics, and a “Creativity, Activity, or Service” project that could involve community service, creative activities, or physical activities. The comprehensiveness, diversity, and flexibility of the IB DP make it an ideal choice for international students. Studies show that its efficacy is nothing to snort at – graduates of the programme end up more frequently in advanced standing, perform better at their studies, and are admitted to more exclusive universities. In addition, many universities offer special course credits, and even scholarships that are exclusive to IB DP graduates. At Swiss International Scientific School in Dubai, we offer the International Baccalaureate Degree Programme for all students, conferring all of its advantages to our graduates. A diverse, multicultural staff of brilliant and passionate educators ensures that students are well-prepared for any challenges they may face, whether in future university education or throughout life as a whole. In addition to the IB DP, students are also benefited by our College Counselling Team, composed of specialists from English, French, and German-speaking countries, who can provide information and guidance for students as early as the start of Grade 9, preparing them for university admission requirements, helping them decide what schools and courses to take up, and help support decision-making every step of the way. Swiss International Scientific School in Dubai’s implementation of the IB DP comes with unique subjects that aren’t found anywhere else, such as French and German Literature courses, the “DP Histoire” programme where students can learn history in French at the DP level, and even write their extended essay in French or German, supervised by instructors who are native speakers in their respective languages. Because SISD is inherently a bilingual school, teaching in German and English, graduates are also qualified for the Bilingual IB Diploma, which has its own benefits.